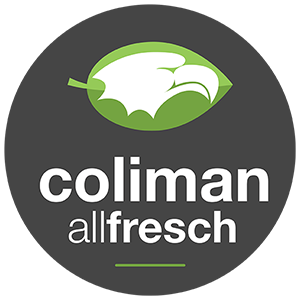 Coliman Allfresch has been delighted with the positive feedback and spot sales across Europe. Generally reserved for contract programmes, earlier this month Coliman Allfresch opened up availability of their premium organic Fairtrade, Mexican bananas for customers who prefer to buy on the spot. At a time when the banana market is tentative, Coliman Allfresch has found that retailers, particularly across France, Germany and Spain, have been open to trailing their first shipment of Mexican origin, Organic Bananas. Typically, favouring bananas sourced from producers across Ecuador and the Dominican Republic customers have opted to trial Coliman organics and have come back delighted with the premium quality, extended shelf life and availability. The fair weather combined with Colimans production facilities and proximity to one of Mexico’s main ports means that they can harvest, process and ship the fresh produce quickly and efficiently, ensuring that customers receive a premium quality product on delivery. “In this instance quality speaks for itself. Our customers have been delighted with the long-lasting freshness and shelf life of Coliman Organic Bananas.” Dale Lloyd. Commercial Manager. Coliman is an established producer and exporter located in Tecoman, in the Mexican state of Colima. A joint venture with established UK importer Allfresch aims to efficiently distribute and market Coliman bananas across Europe, Asia and the Middle East, providing a stable and reliable supply of organic and Fairtrade bananas to customers throughout the year. In 2014 Coliman was certified to produce Mexican organic and Fairtrade bananas, further cementing their commitment to sustainability. Having invested substantially in their land and production facilities, Coliman is strategically placed to fulfil the growing demand for organic bananas around the world. “Now that customers are beginning to experience the great quality, and with the growing demand for organic Fairtrade produce showing no signs of slowing we are confident that sales for organics will continue to grow across the world.” Dale Lloyd. Commercial Manager. For more information about availability contact us.